Kosherfrugal.com - Frugal Living in Israel: Restaurant and other Food Deals (Kosher, of course)! Restaurant and other Food Deals (Kosher, of course)! Kosherfrugal.com and Janglo have teamed up to bring you some great Groupon deals and Eluna deals (and other deals) you don't want to miss! This post focuses exclusively on kosher restaurants and take-out food, so if you're going to splurge, you can now afford to splurge a little more, with discount vouchers and savings. I keep checking for new deals, as I know you've been waiting for some, and this week there are some changes, so check carefully! Be sure to check the Facebook group so you don't miss out! Also, Janglo Beteavone has a great selection of restaurant coupons. Be sure to check http://shop.beteavone.com for deals you won't find anywhere else! eLuna has a great selection of discount restaurant vouchers too - be sure to check them out before you go out! But supplies are extremely limited, so hurry before they're gone. Pre-purchasing your vouchers and saving up to 50% is a GREAT way to save when you want to indulge! Don't miss out on the savings! Check below for savings in your area! Eluna offers discount vouchers (most are 20 - 25% off retail price) for the following Tel Aviv area restaurants: Alternative, Aresto (Ceasaria) Armondo, Baker's Pattisserie, Bread & Breakfast (Raanana), Brenner's Wine Bar (Raanana), Cafe Neto (Petach Tikvah), Cafe Neto (Raanana), Cafe Yafo, El Gaucho (Netanya), Entrecoti Petach Tikvah, Fresh Kitchen (Herzliya), Goshen Restaurant, Gueta Restaurant, Hungarian Blintzes, La Lasagna, Marrakesh (Netanya), Matsuya (Ramat Gan), Meat & Wine (Herzliya), Nagisa (Raanana), Regina, Salta (Raanana), Sushi Box (Herzliya), Taipei (Netanya), Vici (Raanana), and more! La Place in Netanya - Breakfast for 2, for just 59nis. Limit 2 Groupons per table. Show your Groupon before ordering. Gelato Factory in Rishon - starting at 10nis! Groupon valid for 60 days from date of purchase. Shabbat Takeaway from Minei Gan Catering in Netanya - Buy a 100nis voucher for just 50nis! Groupon valid for 90 days from date of purchase. Can be redeemed ONLY on Fridays. Limit 1 per household. HaSushiya in Kfar Saba - Sushi for 2 for 79nis, or an XL sushi platter for 199nis. Valid thru Jan. 10, 2018, but not on Dec. 31. Call in advance! Lechem Orez in Reut - get your choice of 50% off vouchers. Groupon valid thru Feb. 28, 2018. Max 6 people per table when using Groupon vouchers. Reservations required. Breakfast Buffet at the Leonardo Jerusalem, for 69nis per person (or 129nis for 2). Max 6 people at a table using Groupons. Valid thru March 20, 2018. Reservations required. Lunch or Dinner for 2 at Pichonka in Nes Harim, starting at 199nis. Reservations required. Groupon must be redeemed by Feb. 20, 2018. Blackout dates apply. Max 5 Groupons per group. You must show the Groupon before you order, and anyone in your party without a Groupon will be required to place an 80 nis (minimum) order. Desserts from "BaTa" in downtown Jerusalem - deals start at just 13nis! (It is kosher, I checked, even though Groupon doesn't specify that it is). Groupon valid for 60 days from date of purchase, BUT it says to call ahead! Montefoire (Dairy, Italian) in Yemin Moshe - Starting at 229nis for 2. Groupon valid for 60 days from date of purchase. Max 6 Groupons per table. Valid Sun-Thurs, 11am - 9pm and Fridays 11am - 2pm. Reservations required. Workshops (meat cooking/butchery) at Ktzizot - including a "Carnivore's meal" and a glass of wine, for 139nis! Groupon valid for 60 days from date of purchase. Reservations required. Workshops take place on Mon, Tues, and Thurs, at 6pm and last for 2 hrs. Pescados - (Jerusalem) Lunch for two for just 139nis! Or the Dinner deal for 44% off regular price (your choice of party of 2, or party of 4). Buffet Dinner at the Crowne Plaza Hotel (Jerusalem). 1 for 99nis / 2 for 195nis. Groupon valid Sun - Thurs 6:30pm - 9pm. Not valid on Fridays, Shabbat, Holiday eves, or Holidays. Breakfast Buffet at the Shani Hotel (center of town) - for 49nis (1 person) or 97nis (2 people). Groupon valid for 60 days from date of purchase. Get half off at Ta'im BaKerem. Sun - Wed, 4pm - 9pm or Thursday 4pm -8pm. Reservations required. Valid for 60 days from date of purchase. 300 Grams in Moshav Betzet - All you can eat, starting at 115nis per person (there's an upgrade that includes a glass of wine if you like). Voucher valid thru March 20, 2018. Redeem Sun - Wed, 2-9:30pm or Sat.nights beginning 1.5 hrs after Shabbat until 10pm. Reservations required. Max 6 Groupons per table. Children under 6 can order a kids' meal instead of having a Groupon. Pizza from Siciliano in Kiryat Chaim for half off! There are a few different vouchers available - a 50nis voucher for 25nis (valid for the whole menu), OR 29nis for a "family size" pizza with a topping, OR 49.90 for a "family meal" deal (pizza plus topping, plus 2 garlic breads plus greek salad). Groupon valid thru Feb. 20th. Not valid for delivery orders. Sinta Bar (Kiryat Ata) at Kenyon Shaar Hatzafon, Burger meal for 2, for 76nis. Includes 2 burgers, one order of fries, and 2 drinks. Voucher valid for 60 days from date of purchase, and call in advance. Cannot be redeemed on Fridays. Shela Restaurant (Kiryat Motzkin), for 79nis per couple. Limit 2 vouchers per table. Voucher valid for 90 days from date of purchase, with advance reservations. 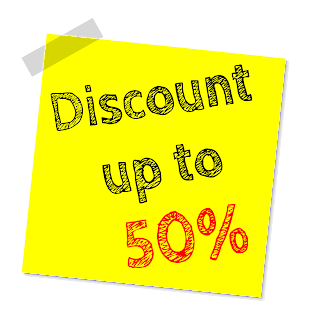 50% off at Ta'im L'Chulam in Haifa! (The meal includes soup, a meat main dish, 2 sides, a drink, and more!) Voucher valid for 60 days from date of purchase. Can be redeemed Sun-Thurs till 9am - 5pm. Olam Ha'Ochel in Haifa (meat restaurant, with tons of salads for the table) for just 35nis per person (69nis for 2!). Groupon valid for 90 days from date of purchase, and only from 8am - 5:30pm (Sun-Thurs) or 8am - 4pm Fridays. limit 8 people with Groupons per table. Greg Kitchen (mehadrin, meat) in Yavneh - here's a deal for a meal for 2, starting at 99nis! Groupon valid thru March 30, 2018. Max 6 people per table with this deal. Ribs in Ashdod - 99nis for a 2 person meal! (upgrade that includes wine, dessert, and coffee is available) Voucher valid thru March 28, 2018. Can be redeemed Sun-Thurs, noon - 7pm. Reservations required. Breakfast Buffet at the Leonardo Plaza in Ashdod, voucher for one for 59nis or for two for 116nis. Voucher valid thru Feb. 28, 2018. Redeem Sun - Fri 6:30 - 10:30am, with reservations. Hummus Cohen (mehadrin) in Ashdod - have lunch for 23nis! Groupon valid thru Feb. 28, 2018, limit 4 Groupons per table. Not valid for takeaway. Captain Crepe in Ashkelon - save 50%! Groupon valid thru Feb. 15, 2018. Limit 6 Groupons per table. Shipudei Hatikvah in Ashkelon - get a meal for 2 for 99nis! Reservations required. Groupon valid thru Feb. 28, 2018. Lunch at "Space" in Moshav Amonim - 139nis for 1, 279nis for 2, or 549nis for 4. Voucher valid thru June 30, 2018. Check for blackout dates, and reservations required. Generally valid Sun-Thurs noon - 5:30pm or Fridays noon - 2pm. Anyone in your party without a Groupon voucher will be required to order 100nis minimum from the menu, and children under 10 will be required to order a 40nis children's meal. According to the info posted, you can use their gardens (and pool, maybe) before and after your meal. Pizza HaGesher in Be'er Sheva (Mehadrin) - Get an XL pie for just 29nis! Sun - Thurs, 11am - 8pm, and Fridays 11am - 4pm. Groupon valid for 60 days from date of purchase. You can redeem multiple vouchers at one time. Ola Chef's Restaurant in Eilat, for 129nis per person, or 255nis for two. Reservations required. Not valid on Holidays or Erev Chag. Groupon valid for 2 months from date of purchase. Redeem Sun-Thurs 1pm - 11pm or Sat. nights. Have you joined Groupon Israel's Best Deals on Facebook? Join us there and you'll find out about awesome deals every day! Tons of Kosher Restaurant Deals! Promo Code at The Hut! Electricity Rates are Going Down! Another iHerb promo you don't want to miss! Deals: Hotels, Shows, and Attractions! SAVE at Target with this deal!